We all love an interior designer who has a natural eye for a brilliantly classic yet innovatively bold design. They are like runway couture, as opposed to what you see in department stores, their artistic creations are exciting to the eye, invigorating to all of our senses, and mesmerizing to us in a mysterious and fascinating way. 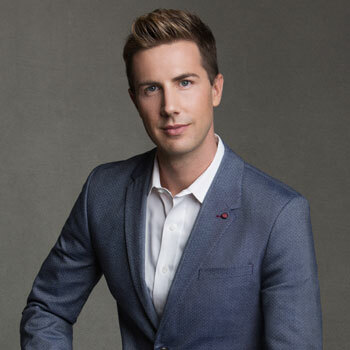 If you're drawn to these interior designers, you’re going to love getting to know my next design guest Charles Neal! You may recognize Charles from a number of home and design shows, from HGTV’s Design Wars to his very own A&E series Family by Design. He’s had a long career in the spotlight, proving that design never needs to be boring! Charles has been highly praised for his ability to use timeless furnishings in a bold and innovative way - offering balance to his extraordinarily glam interiors. Not only does Charles reach for the stars in the aesthetic aspect of his designs, he also offers a varying list of services and expertise. Aside from everything a full-service design firm offers - space planning, custom furnishings, complete renovations, etc. - Charles goes above and beyond, offering outdoor kitchen design, custom home theaters, and even his own 3D rendering services. So without further ado, please welcome interior design’s “Master of Modern Baroque,” Charles Neal! Q: Thank you for joining me today, Charles! As a faithful follower of your designs, I’m excited to get to know more about your overall design philosophy. But first, as many of your fans know, you’ve starred on numerous design shows, as well as creating your own show, Family by Design. When and how did you first get noticed as a leading national interior designer? Charles : The beginning of my television career really got jump-started by the 2009 Atlanta Holiday Designer Showhouse. I was selected as one of the local designers to design part of a $10 million dollar house. It just so happened that a producer from HGTV came to view the home and designs. I must’ve impressed her because she approached me and asked if I would be interested in appearing on one of the competition shows on HGTV. Of course, I said I would be delighted and before I knew it, I was on a plane to Los Angeles. The first show was called "Showhouse Showdown," where designers competed to have the best design which was selected by the neighborhood. I ended up winning the show and the producer loved me so much that she pitched a reality show featuring my family and me to the A&E network, called Family By Design. In the meantime, I filmed for other shows on HGTV like Design Wars and Celebrity Holiday Homes. Q: You’re known for being one step ahead of interior design trends - what do you believe helps you the most in predicting emerging styles? Charles : I closely follow the younger generation’s interests on Instagram and Pinterest. I understand that design develops and morphs, so I’m constantly seeking out what is the latest and greatest in design. Thanks in large part to social media, we are now able to really see and track what people are responding well to. This knowledge provides a platform which I can build on and incorporate my own style and flare. Q: What do you believe to be the next biggest interior design trends? Have you experienced more clients requesting these, or do you have any plans to include these in upcoming projects? Charles : Overall I am having more and more requests for non-traditional custom elements, such as wallpaper. Clients desire to have a unique product. After all, why go through the whole design process just to have what you have already seen before. Q: Having worked extensively in very different areas- LA, Atlanta, New York City, and South Florida- what are some of the major design differences you see happening in these regions? And, what is unique about the design styles/tastes in Miami and Fort Lauderdale specifically? 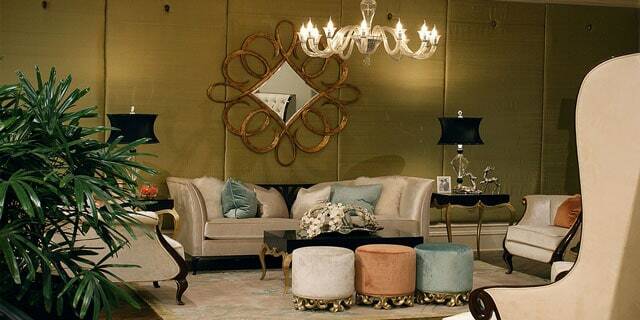 Charles : Most of our clients are eccentric, so we tailor the designs to their individual styles. I’ve found that region does not dictate style. I’ve designed an ultra-modern home in rural Georgia, and I’ve designed a rustic style setting in Beverly Hills, California. In the South Florida region, I have mostly created very over the top designs that give a huge wow factor. Many of the homes I’ve worked on in South Florida are second home getaways for the client, so they really want it to be a dramatic showpiece. Q: Explain how you’re able to find the balance between your three principles: less is more, be bold & be brave, and function forms comfort. Are there challenges when harmonizing “less is more” with “be bold and be brave?” What’s the best approach to master this look? Charles : Fine design is about creating the perfect statement for every setting. That statement may be the fireplace in one room or the cornice in another. Finding the balance between those impactful elements is key to creating a sophisticated design. Q: You have an impressive artistic side to you, including painting and creating 3D renderings. Can you explain a bit about how your art and rendering services have helped build your brand? 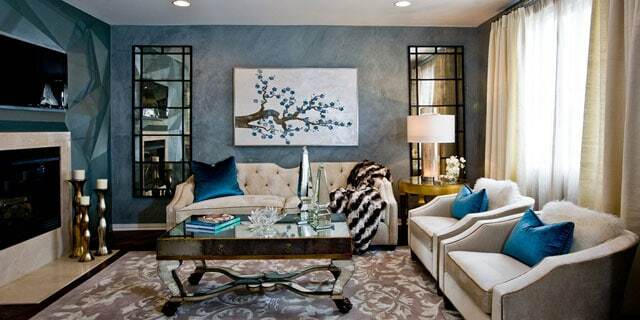 Do you often paint artwork for your clients’ homes? Charles : I have an extensive background in graphic design, printing, and painting. I owned a printing company in Atlanta for a number of years in which I created designs for advertisements, logos, and brochures, and where I developed a keen sense of color and color balance. After I left the printing industry, I began pursuing faux finishing. The creation of different textures, colors, and dimensions on the walls was really popular at the time and it expanded my horizons to the different capabilities I had as an artist in a room. With all of that background in mind, when I began interior designing I was overwhelmed with all of the possibilities I could create. Thankfully, I now utilize rendering software which is a great asset to my designs. Digitally I can control everything exactly as it could be in the space such as furniture placement and color selection. Renderings have changed the design industry tremendously because it takes away the guesswork when trying to incorporate those bold elements. Thank you so much, Charles! It’s fascinating to be given a glimpse into the mindset of such a popular designer, like yourself. We hope to keep seeing your lively and energetic designs in all of our favorite design shows! 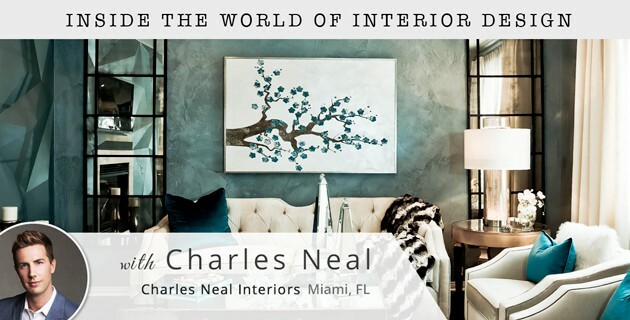 To learn more about Charles Neal Interiors and see their portfolio, visit their website and follow them on Houzz.